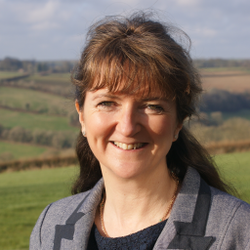 Since its formation in 1991, Caroline Drummond has been the driving force behind LEAF (Linking Environment and Farming). Caroline’s work focuses on encouraging more sustainable farming practices and building a better public trust and understanding of farming, food and the environment – values she is personally extremely passionate about. Caroline leads the development of the LEAF Marque global farm assurance system, which recognises products grown sustainably by LEAF members in 34 countries worldwide. Caroline is also proud of the flagship LEAF Open Farm Sunday, farming’s annual open day which each year connects over a quarter of a million people with farming. To strengthen LEAF’s education activity, Caroline recently led the successful merger with FACE (Farming and Countryside Education). Caroline graduated in Agriculture and has broad practical agricultural experience from across the globe. In 2009 Caroline was awarded the MBE, she has an Honorary Doctorate from Harper Adams University, a Nuffield Scholarship and was awarded Honorary Fellowship for the Society of the Environment. In 2017 she was awarded the IAgrE Award For Outstanding Contribution to the Landbased Sector and the Farmers Guardian Outstanding Contribution to Agriculture. Caroline is married to a dairy farmer and they have a daughter.